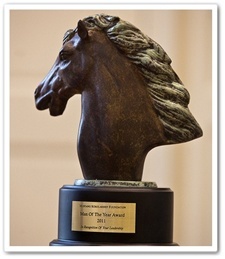 On April 2, 2011 we proudly honored the 2011 Mustang Scholars Foundation Man of the Year Richard C. Ill. Let us tell you the inspiring story about our 2011 recipient. Richard (Rick) Ill is a living example of why it’s important to give people a chance to succeed in life. He was given the opportunity early in his career to prove himself and firmly believes that when chance is coupled with hard work, the sky’s the limit. Because of his own personal experiences, Rick is a staunch proponent of paying it forward – figuring there are many more people who deserve a break in life. Rick’s first break came after he served in the U.S. Army for three years as a captain. Alco Standard hired him, where no job was too small for Rick. He did anything and everything that was asked of him; even sorting mail and running errands. Soon enough, his work ethic and attention to detail caught the attention of his bosses. Rick quickly rose through the ranks and took on various leadership roles within the company. A defining appointment came when he was asked to turn around an unprofitable business – no easy feat, but one that was accomplished in just 12 months. Charged by Alco Standard with selling two of its operating groups to outsiders, Rick used his entrepreneurial vision to secure venture capital and instead buy the companies from his employer. The 13 aerospace and metal companies were formed into Triumph Group. Over time, Triumph divested itself of the metals companies, focusing solely on aerospace markets. It went public in 1996. An entrepreneurial spirit drives Rick and not surprisingly, is a hallmark of the global aerospace enterprise he leads today. The growth and profitability of Triumph under Rick’s leadership is nothing short of phenomenal. In 1993, Triumph’s annual aerospace sales were roughly $60 million. Today, annual sales exceed $3.2 billion from its 44 companies in 64 locations worldwide. Triumph has grown to prominence through organic growth and prudent acquisitions. An underlying tenet of the company’s success is Rick’s laser focus on the bedrock principles responsible for growth: a decentralized management philosophy (that places a great deal of discretion and accountability with each individual Triumph company) and a rigorous focus on the bottom line. Ernest & Young paid tribute to Rick’s accomplishments recently by naming him the E&Y 2009 Philadelphia Entrepreneur of the Year and a runner-up in its national competition. Rick credits his drive to win as part of his DNA. He’s a believer in continuous improvement, challenging people to learn something new every day and not be satisfied with the status quo. He also points to lessons learned from several Outward Bound programs that shaped his leadership skills, such as the importance of teamwork, taking risks and challenging yourself to go beyond your comfort zone. Making a positive impact on the local community is a fundamental component of building a successful business. That is why Rick formed the Triumph Foundation a couple of years ago, enabling the company to make financial contributions to benefit worthy nonprofits like the Mustang Scholars Foundation. 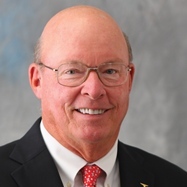 In addition, he was Vice Chair for the Philadelphia area’s United Way Campaign Cabinet in 2008 and 2009 and currently serves on the board for Baker Industries, a nonprofit work rehabilitation program employing an overlooked and underutilized workforce population. Rick’s personal qualities are in lock-step with those awarded scholarships through the Mustang Foundation. His character, drive and intellect define Rick’s road to success. He has made the most of opportunities presented to him and wants others to be given a chance as well. These attributes, combined with a commitment to open the door for others and “pay it forward,” has earned Rick the 2011 Mustang Scholars Man of the Year award. It describes a person who by strength of character, ability and discipline, rises through the ranks of the enlisted to become a commissioned officer. Historically, ‘mustangs’ have been a select few.